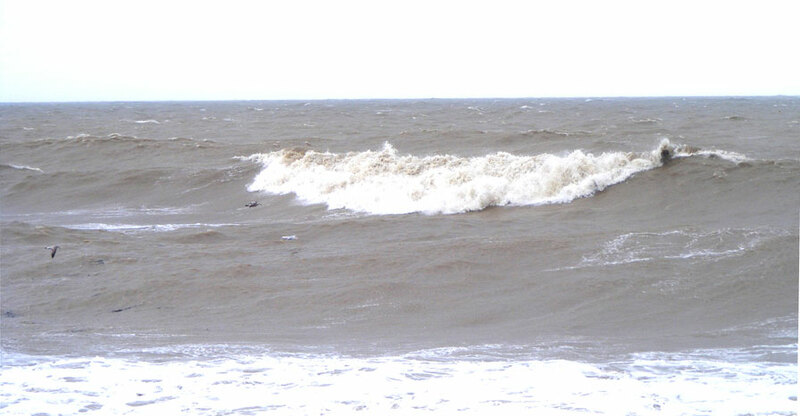 A pair of Common Dolphin Delphinus delphis, spent two hours swimming around Weymouth Harbour for the appreciation of onlookers. 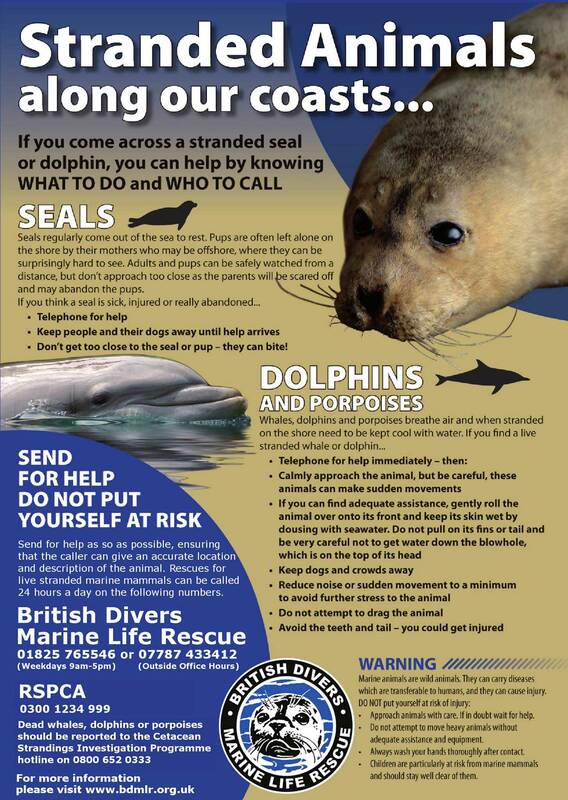 Dolphins live off the Dorset coast and can be sometimes be seen from the shore, but it is only rarely will they follow boats into harbour. 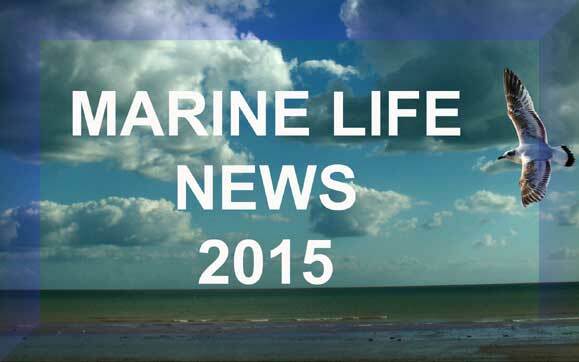 A pod of three to five Killer Whales, Orca orcinus, were spotted in Pentland Firth, Orkney. 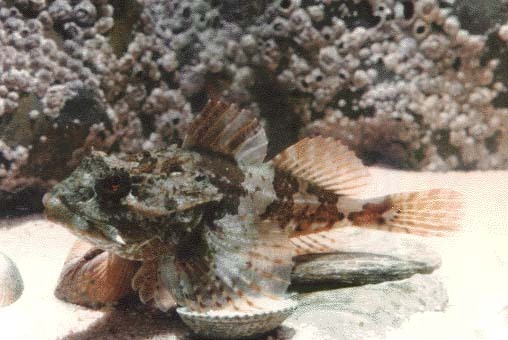 The study above shows the typical appearance of the Short-spined Bullhead and if you look carefully you can note the shorter pre-opercula spine that gives the fish the first component of its book name. 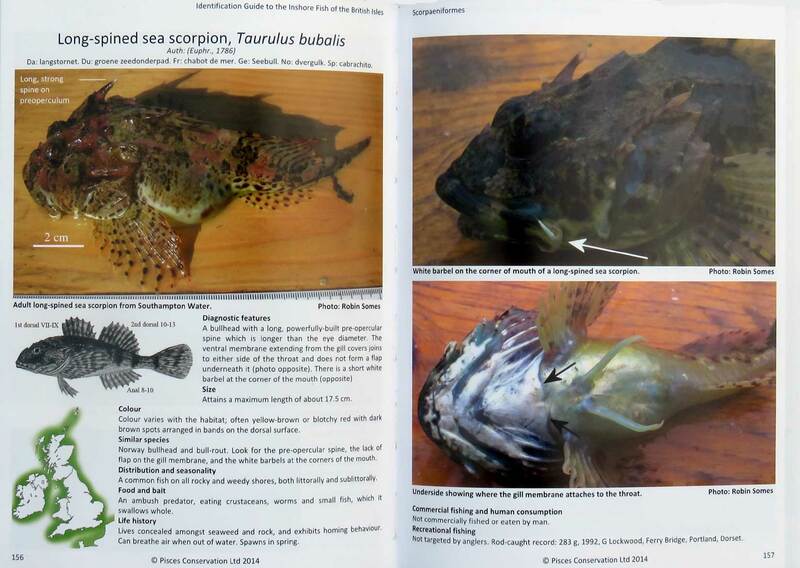 This fish can be confused with the Long-spined Bullhead, Taurulus bubalis, illustrated below. The latter fish has a longer pre-opercula spine, but in the field this difference can be tricky to distinguish. 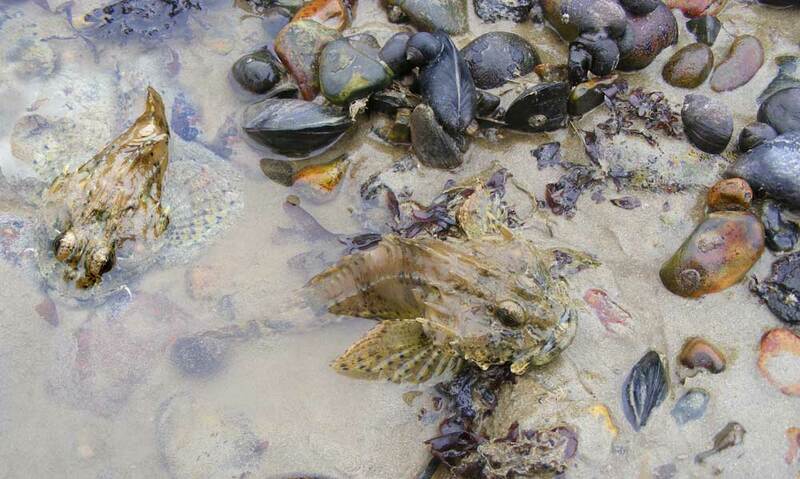 Both species of fish show a great range in colour which should be ignored for identification purposes. 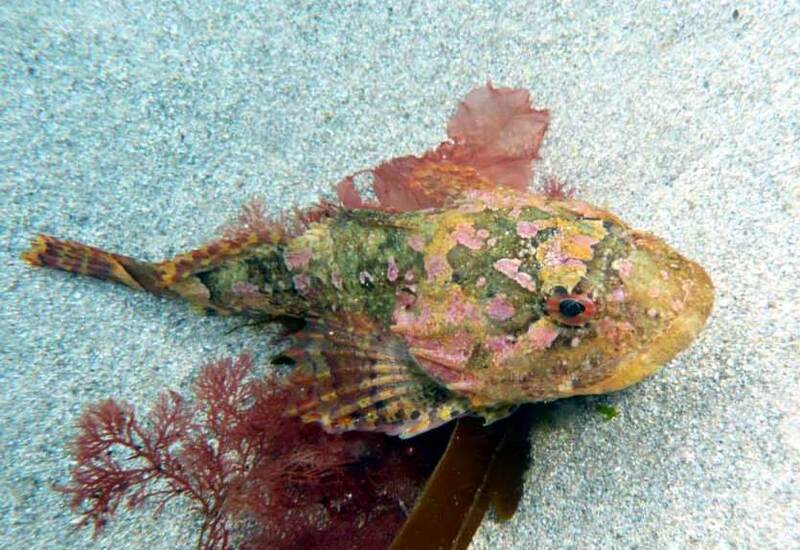 The Long-spined Bullhead is much more prevalent in the shallow seas all around the British Isles and the Short-spined is an inhabitant of deeper water in the English Channel, but is frequently discovered in much shallower seas around Orkney. The must easily discernible identification feature are the quite lappets at the corner of the large expansive mouth of Taurulus bubalis only. 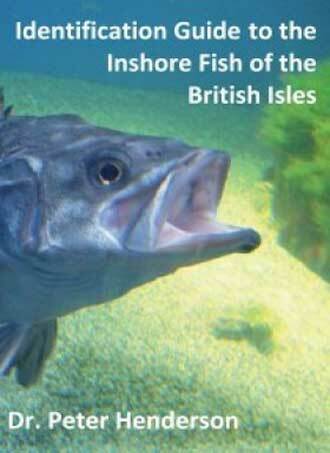 Both species of fish have huge mouths for swallowing their prey. 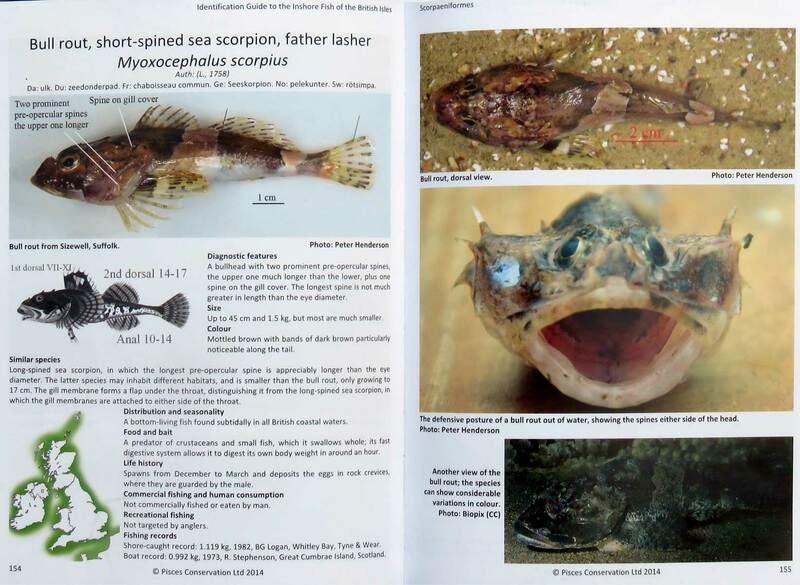 The presence of the lappets always indicate the smaller species the Long-spined, but they can be hidden in photographs and the absence at first glance should not be used as definitive for the Short-spined, Myoxocephalus scorpius, just a guide to look further. The spines have to be looked at very carefully to distinguish the species. 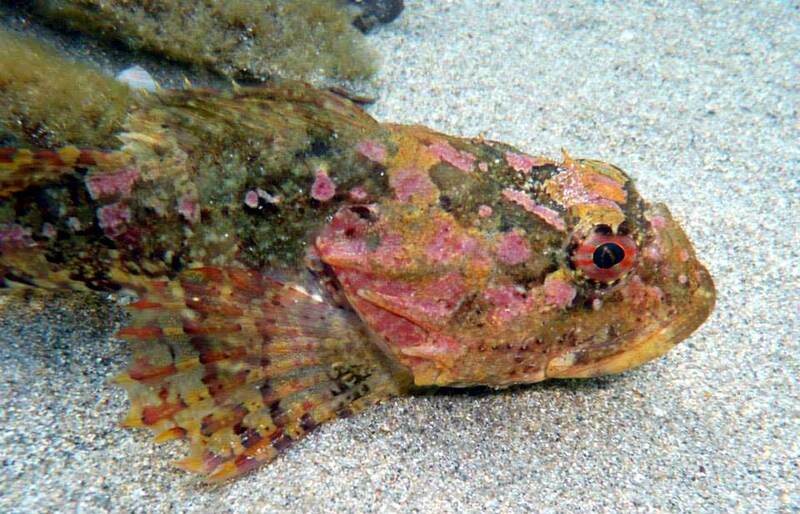 They are not venomous, but stinging spines do occur in the true Scorpion Fish, Scorpaena scrofa. Colloquial names are extremely varied for both species. Bullhead is the most commonly used in Britain but there are so many regional variations that each port seems to have a different name. 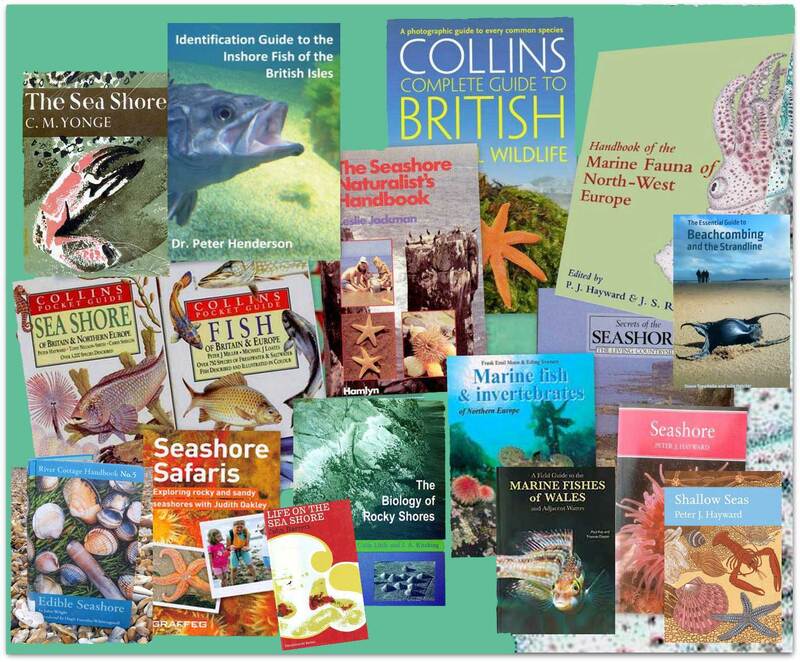 The new and recommended fish identification guide book goes into great detail to identify the identification characteristics of each fish, especially as seen by anglers and fishermen. An example of the pages is shown above. 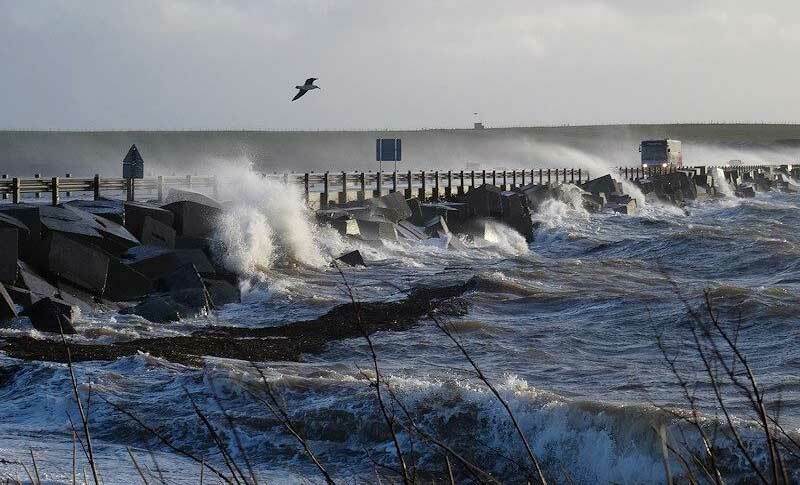 The Churchill Barriers are a series of four road causeways connecting Mainland, Orkney, with two very small islands and the larger islands of Burray and South Ronaldsay. They were constructed in World War II to prevent German U-boats entering the naval base at Scapa Flow. 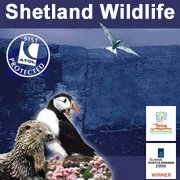 The fixed barriers have changed the currents in Scapa Flow and altered the tidal flow to the North Sea. 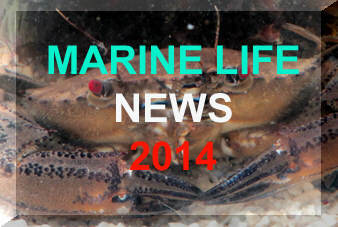 The pattern and distribution of marine life was also changed. 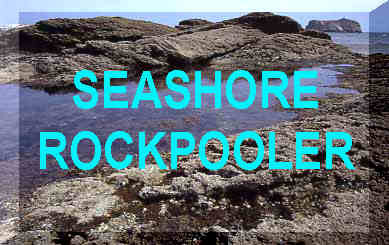 Blockships also provide shelter for fish and attachments points of invertebrate animals. 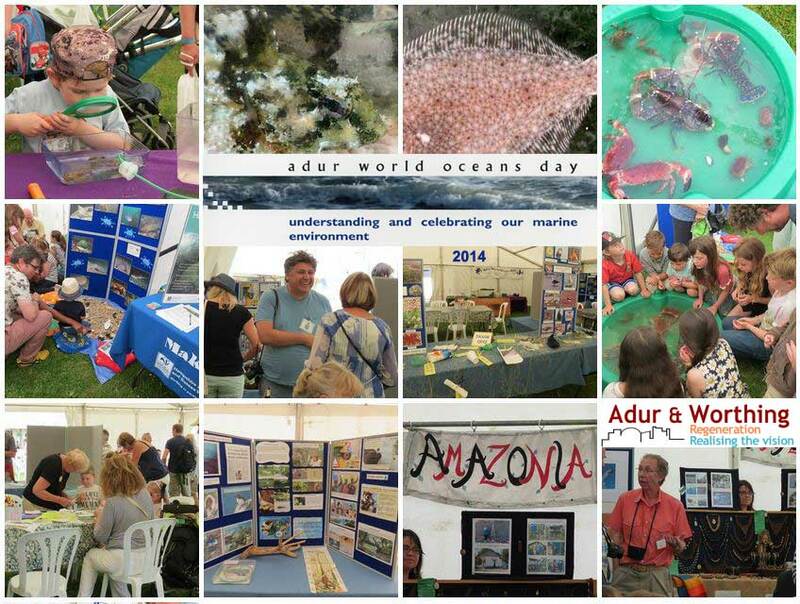 Adur are one of the UK leaders in presenting the sixteenth environmental exhibition of World Oceans Day on Coronation Green, Shoreham-by-Sea. 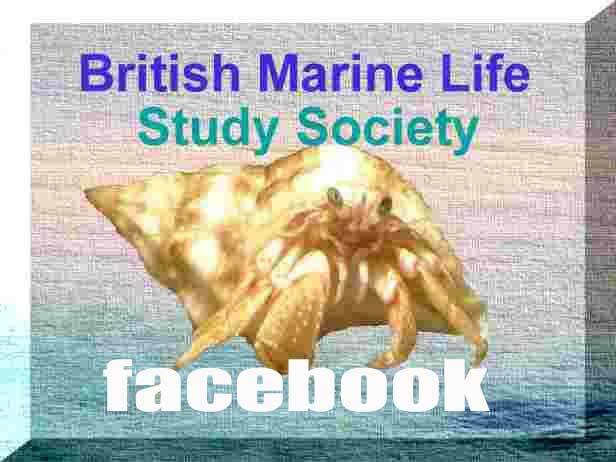 The British Marine Life Study Society present the usual exhibition of lobsters and crabs. 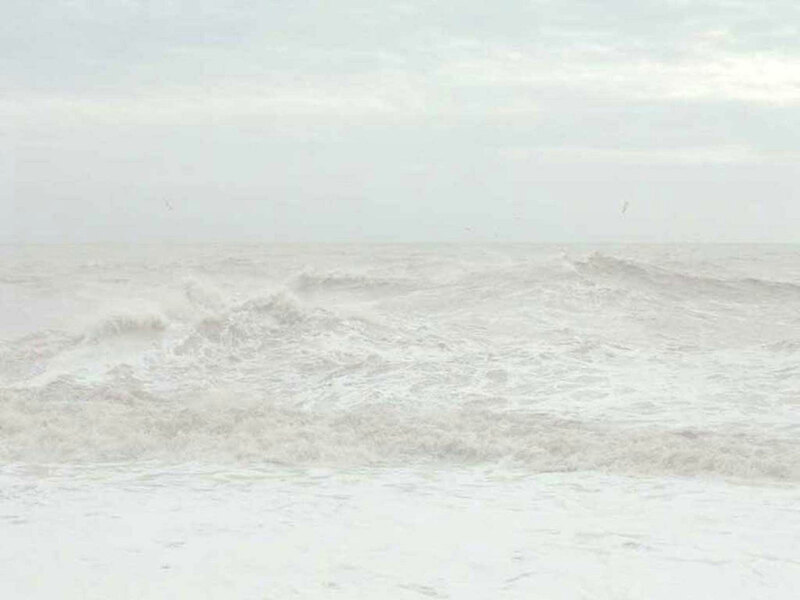 The Friends of Shoreham Beach (FOSB) take an active role with their display of the wonders of Shoreham Beach. 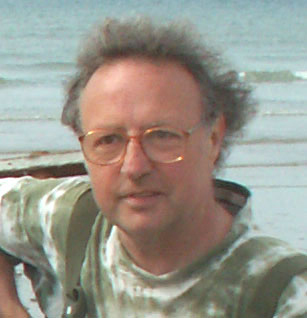 Wildlife writer Steve Savage presents the whale and dolphin exhibition. 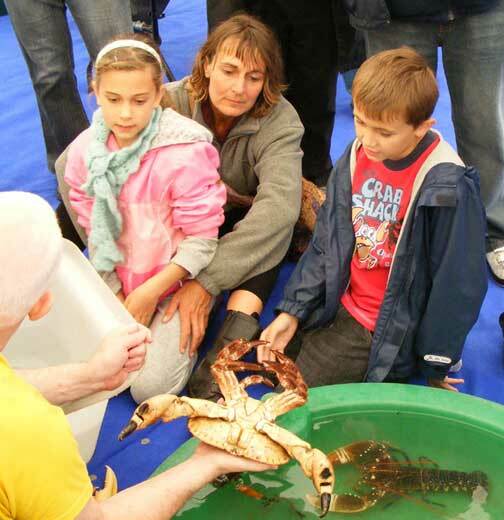 Exhibitors are available to find the time to answer questions about marine life. 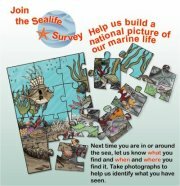 Other participants will include Southwick Camera Club with an exhibition of seascapes and marine life.